July Birth Flower and Meaning: The July Birth Flower is the Larkspur. The meaning of the Larkspur symbolizes an open heart and ardent attachment. July Sign of the Zodiac, Dates with Personality Traits and Characteristics: The July sign of the Zodiac is Cancer and the dates of this sign are June 22 - July 22. The Personality Traits and Characteristics of people whose birth sign fall under the sign of Cancer are Imaginative, Sympathetic, Placid, Intuitive & Home Lover. 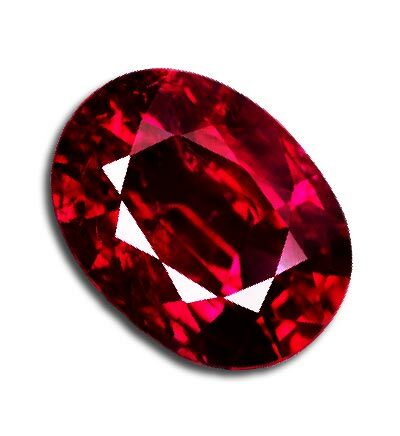 This handy July Birthday & Birthstone List provides an at-a-glance guide about the appropriate dates and information about the July birthstone - the beautiful Ruby. Use the July Birthday & Birthstone List as inspiration for selecting a special gift for member of the family or a close friend. The different types of jewelry are suitable for both men and women as the list shows - rings, brooches, pins, cufflinks, bracelets, pendants, earrings and necklaces. The July Birthday & Birthstone List also provides details of the July birth month flower, the Larkspur. Understanding the meaning, symbolism and significance of the July birthstones, the Ruby, and the lovely Larkspur birth flower adds a special birthday message to any birthday gift. Your home insurance policy may not fully cover you for birthstone jewelry insurance, engagement ring insurance or wedding ring insurance. Your home insurance policy probably covers jewelry theft, but not loss that occurs for other reasons. A typical home insurance policy will only usually pay a maximum of $1,000 for jewelry theft. Obtain a Jewelry Insurance quote from the Chubb group of jewelry insurance.